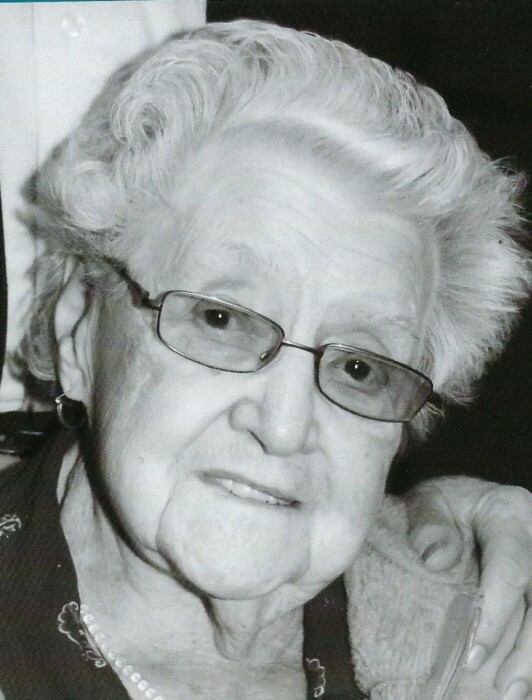 Elizabeth D. (Young) Fabyanic, 94, of Daugherty Twp., passed away Wednesday February 6, 2019 at Rochester Manor. Born May 10, 1924 in Pittsburgh a daughter of Roy C. Young and Jennie (Casne) Young-Tuscic. She was a previous owner of Fabyanic’s Orchard in Daugherty Twp. and a member of the Fruit & Vegetables Grower Association. She was also a member of the Holy Family Catholic Church, the Holy Family Christian Mothers and lifetime member Daugherty VFD Ladies Auxiliary. She was preceded in death by her husband Ivan W. Fabyanic Sr. on March 31, 2006 and one sister Margaret Kowalczyk. Surviving are three sons Ivan (Carol) Fabyanic Jr., Daugherty Twp., Robert (Sandy) Fabyanic, North Sewickley Twp., Richard (Antoinette) Fabyanic, Daugherty Twp., two daughters Patricia (Joseph) Woroszylo, Daugherty Twp., Donna Fabyanic, Pulaski Twp., 13 grandchildren, 28 great granchildren and 5 great-great grandchildren, two brothers Frank Young, Urbana, IL, Steve Tuscic, Daugherty Twp., one sister Mary (Frank) Bair, Chippewa Twp., many nieces, nephews and their families. Friends will be received Sunday from 1:00pm to 5:00pm in the J&J Spratt Funeral Home, 1612 Third Avenue, New Brighton, where prayer will be held Monday at 12:30pm followed by Mass of Christian burial at 1:00pm in the Holy Family Catholic Church, New Brighton. In lieu of flowers the family wish memorials be made in her name to either Life of Beaver County, 131 Pleasant St., Aliquippa, PA 15001 or Rochester Manor, 174 Virginia Avenue.